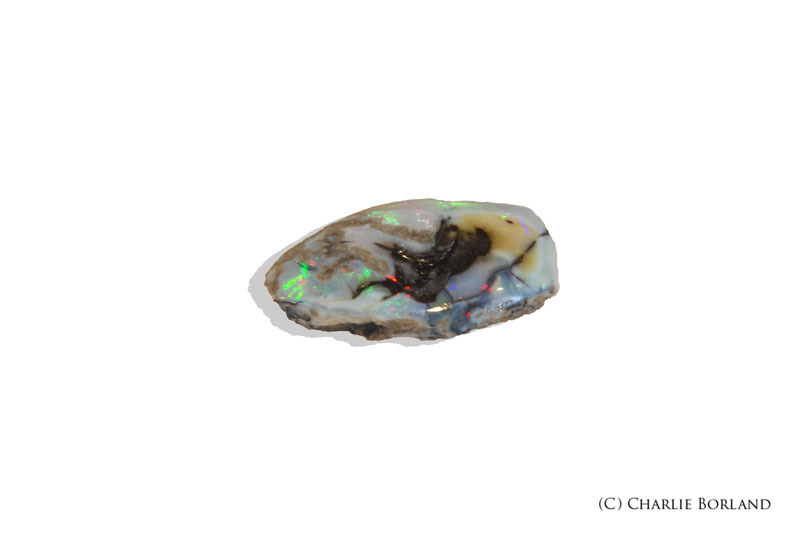 Opals are very colorful and seemingly made up of tiny prisms that reflects a different color depending on the angle of light. When I was lighting the specimens, I moved the lights around to many different positions and always got a new color to show up at each position. 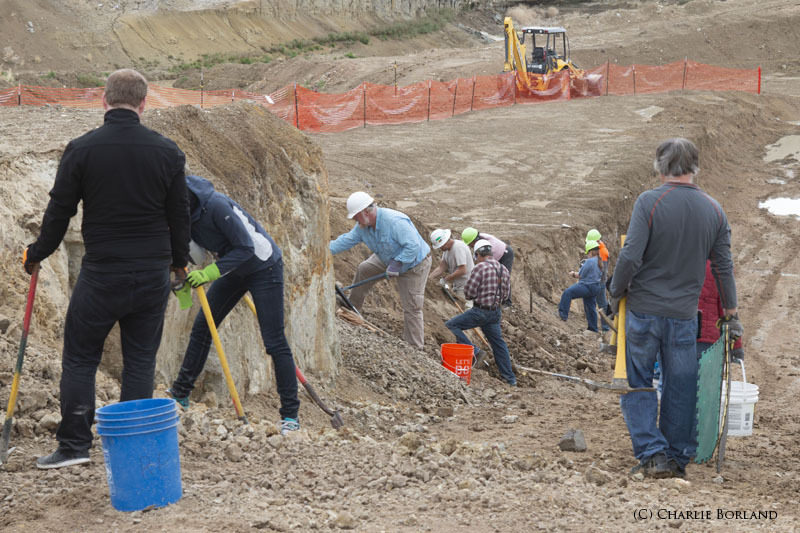 I started shooting the first day there and focused on the guests digging. 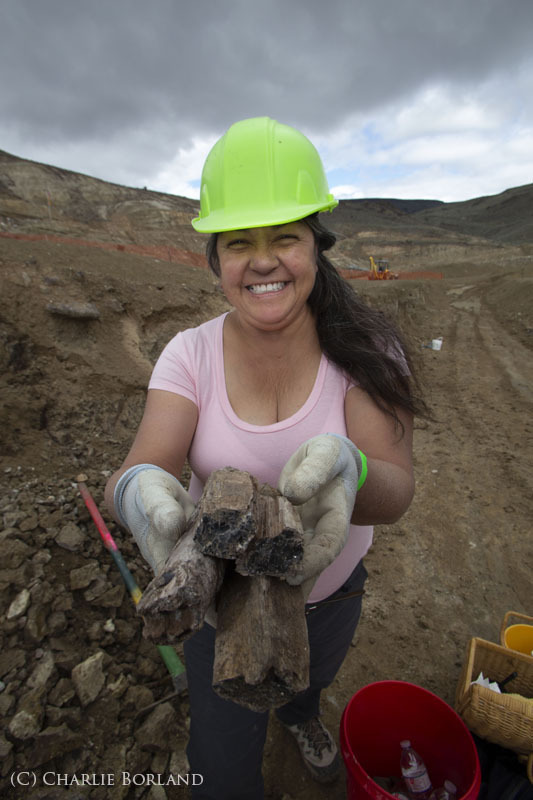 I captured people in close to show the action, like this lady showing what she dug up. And further back to show the size of the operation. 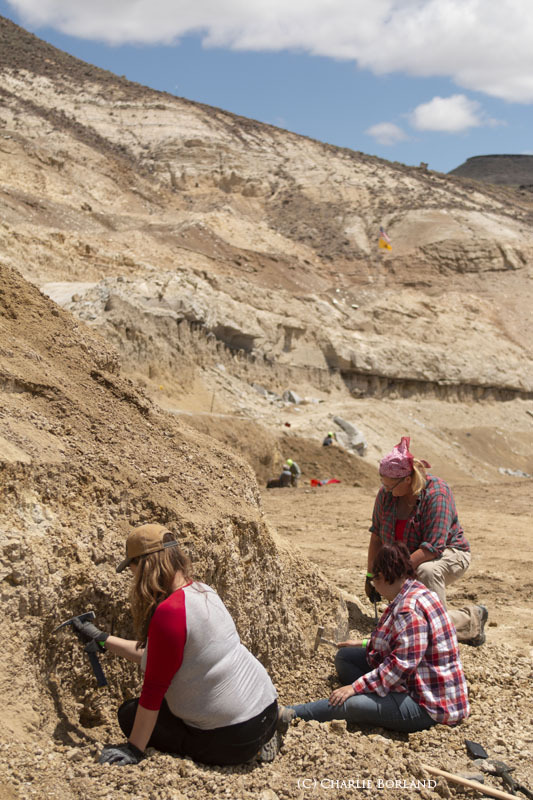 It’s also a family affair and a great place for kids to dig, get dirty, and maybe even find Opals. 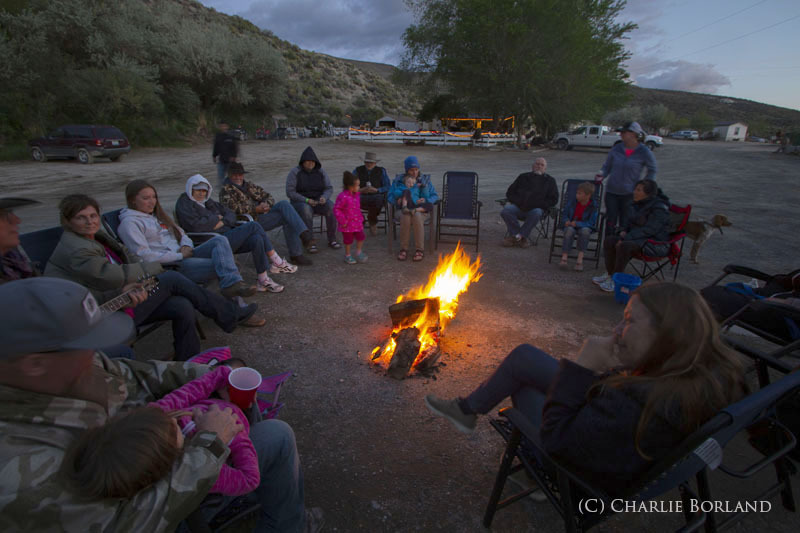 On Memorial Day weekend, they have a big BBQ for all guests and a campfire in the evening. 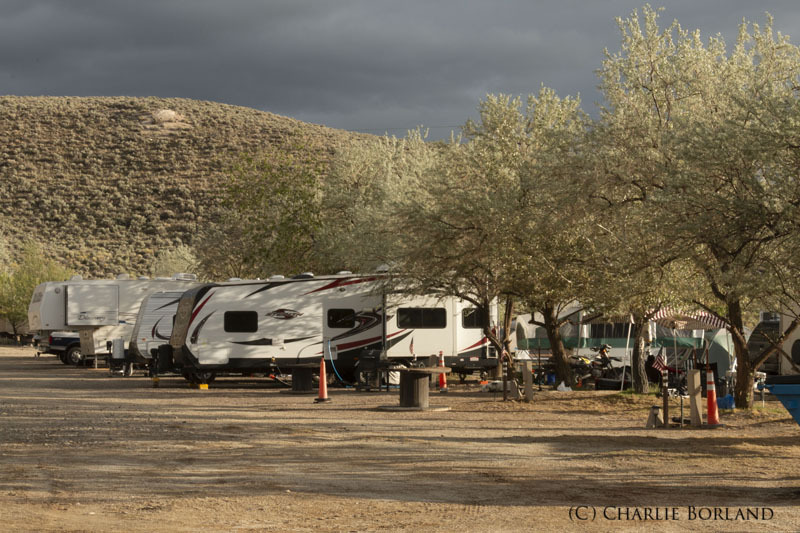 The Royal Peacock also has RV hookups and tent sites along with restroom and shower houses for guests. 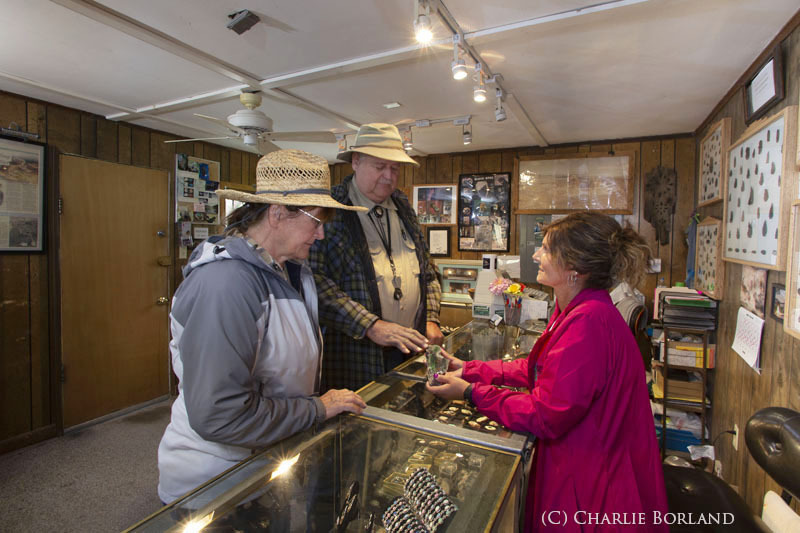 The Rock Shop is where you buy your digging permit and look at many opal specimens. 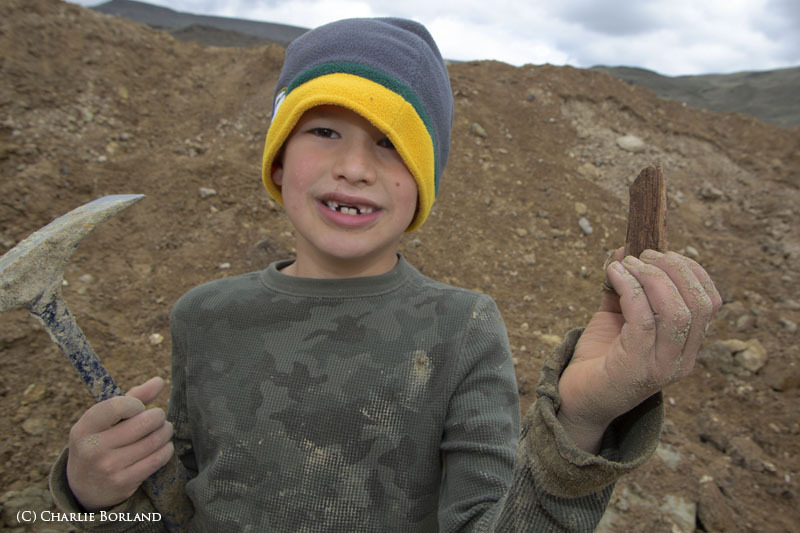 They even have a massive collection of arrowheads, all found on the surrounding property. 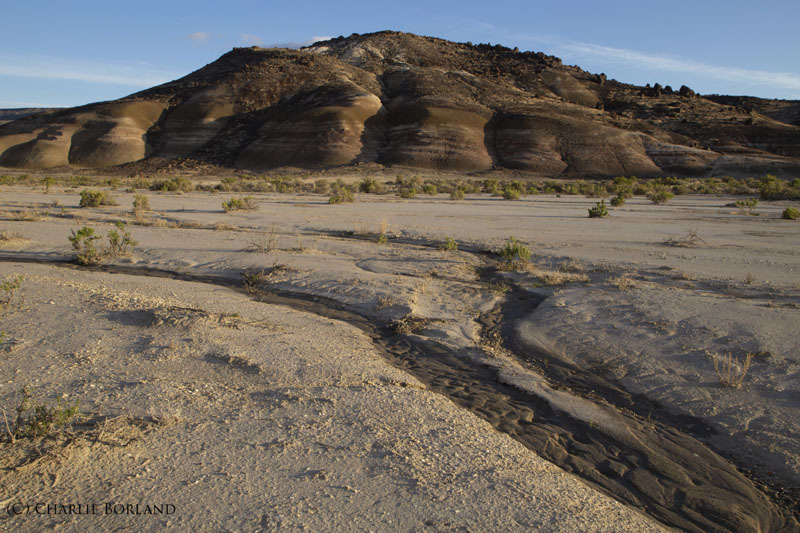 The mine also sits within the Sheldon National Wildlife Refuge and some of this high desert scenery is stunning. 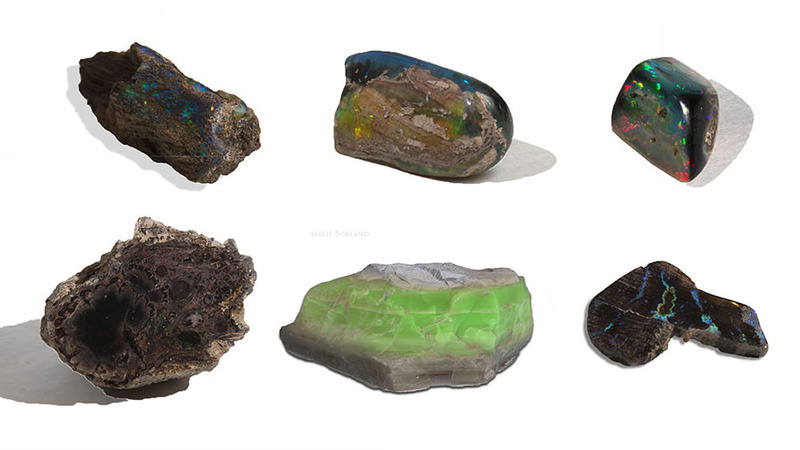 Before I show the Opal specimens I photographed, I’ll mention how I shot the assignments. I used my Canon 6D and 70D both, and the 70-200 mm zoom, 24 – 70mm zoom, and 16-35mm zoom. I switched amongst all these depending on the shot. 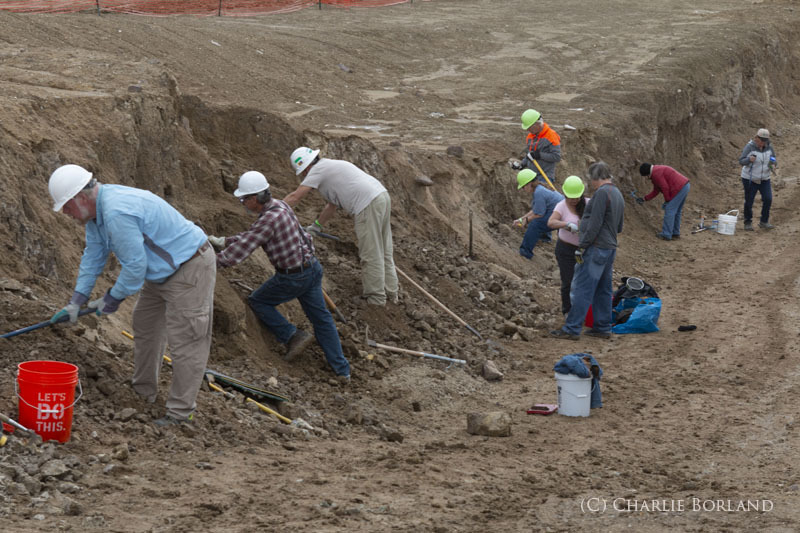 The 70-200 zoomed me in on the digging to compress the scene and it makes the scattered people look more like there is a lot of them. I used the 24-70mm for medium perspectives like this image. And the 16-35mm when I want to go wide or in this case, create an ‘in-your-face’ perspective where she is holding out her specimens to make them larger. 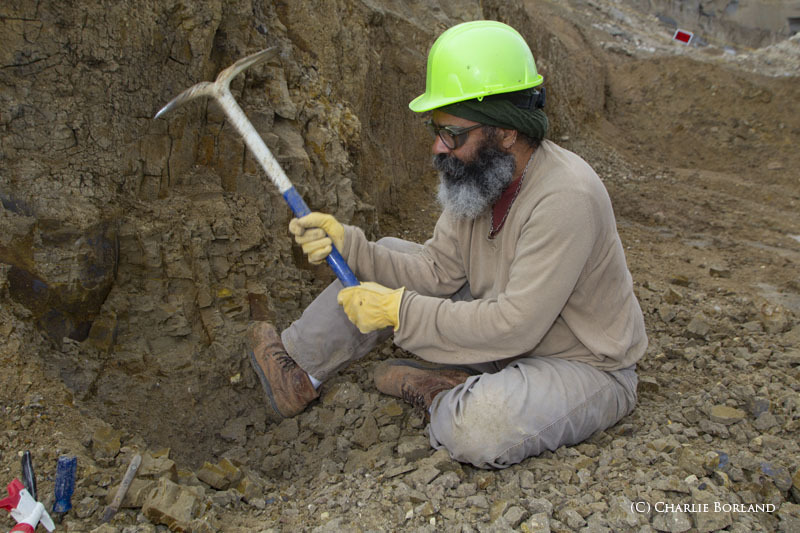 In all outdoor digging shots I used flash fill on almost every shot. 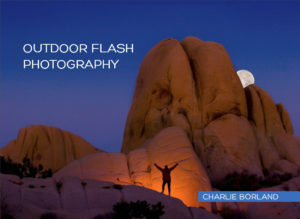 The Flash Exposure Compensation is set between -1 and -1.3 depending on the scene. For the Rock Shop scene, I used two flash units. One in an umbrella on the left and one handheld to the right of the camera and aimed at the people. It acted as a fill flash. I also let the indoor lighting contribute to the overall scene to prevent the ‘flashed’ look. 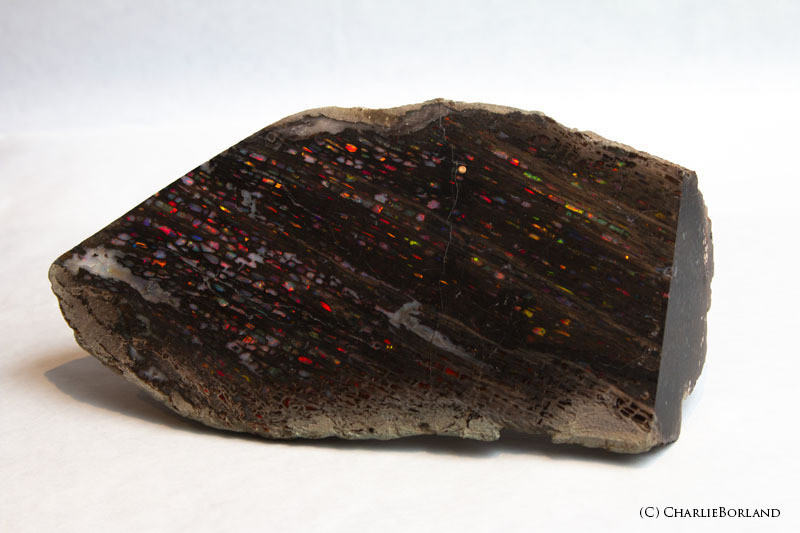 Then we went to another location to photograph the Opal specimens, some of which are quite valuable. 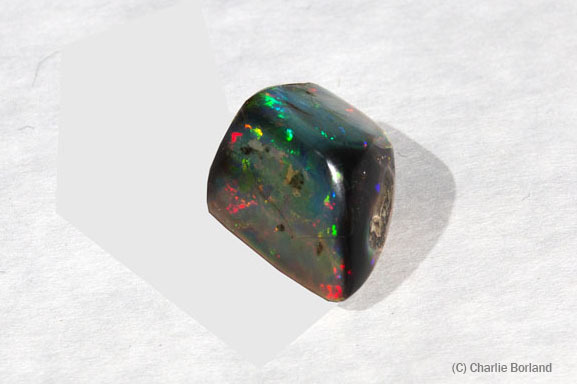 This first piece is about the size of a football, maybe a bit smaller, and has interesting Opal patterns in it. I use one lightbox to one side and flash on the other. The thing about lighting these was that when you move the light around you got different colors coming out. That was good and bad because I could not get all colors in one shot. So I would start with one photo of what I felt was the best lighting, then move the lights around to expose more colors and I did this for a few shots. Then I composited then in PS so I had all the colors show in one final image. Like that specimen? Well, it will only set you back a cool $250k. 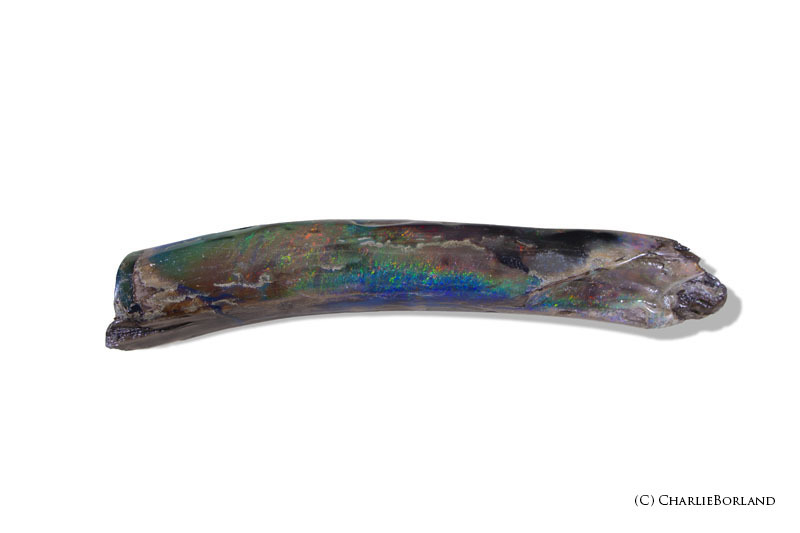 The goal of photographing these specimens was to make all the colors come out of each piece. As I mentioned, I needed to move the lights into a lot of different positions to make the colors pop. Some pieces looked better lit with the softbox, while others looked better with the RAW flash for lighting. 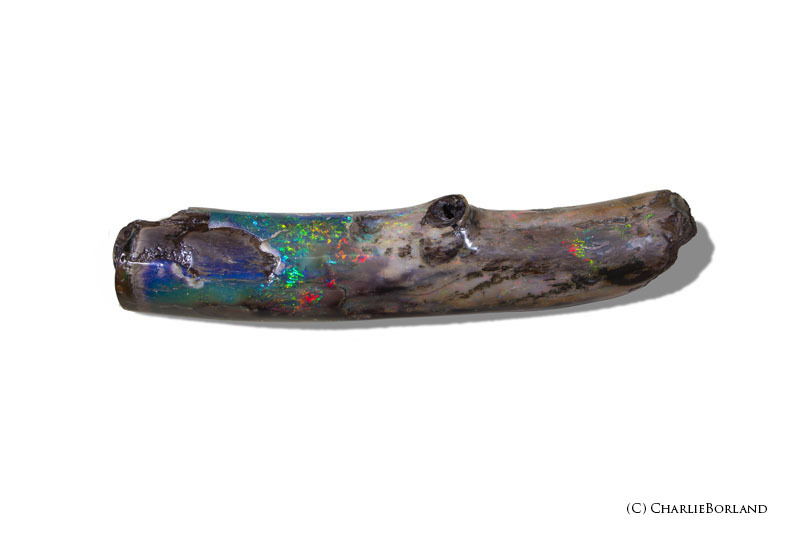 One specimen they have in their collection is this Camel’s tooth. 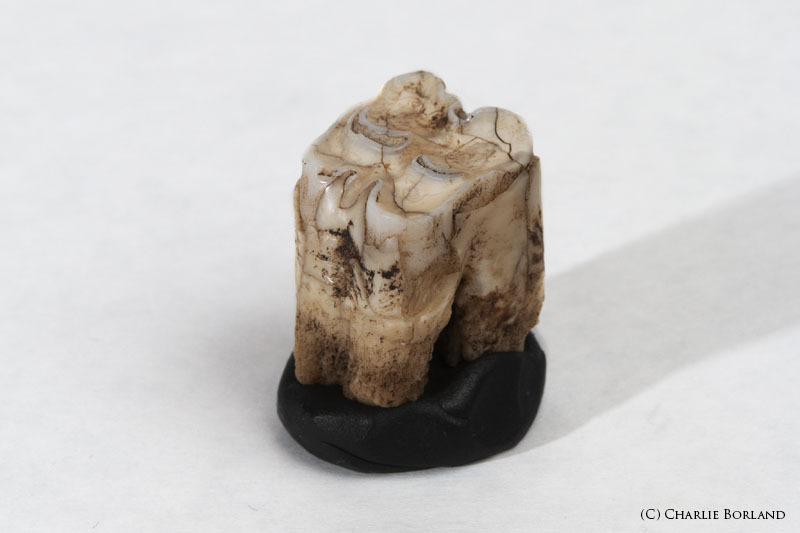 While the wood in many cases is estimated to be 12-15 million years old, there is no telling how old Camel Tooth is but supposedly Camels were in the area about 10,000 years ago. 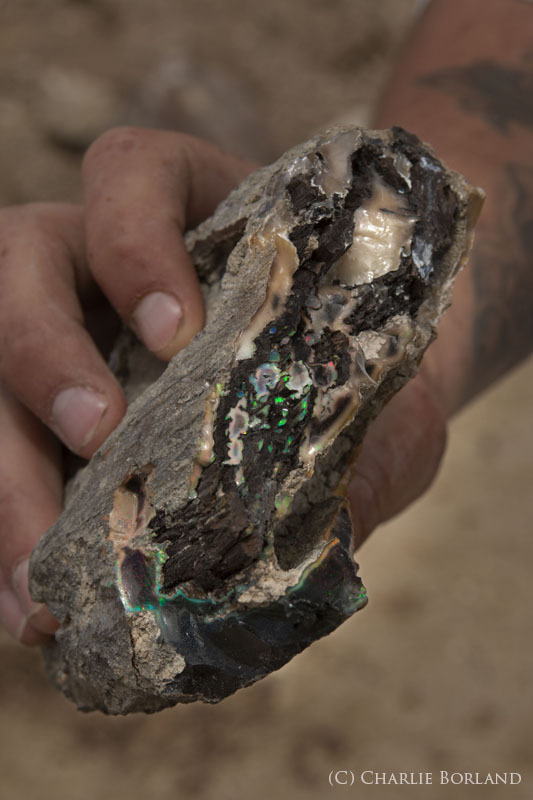 This fascinating Opal might have an insect in it as someone pointed out. Not sure if it has ever been verified but I am thinking Jurassic Park. 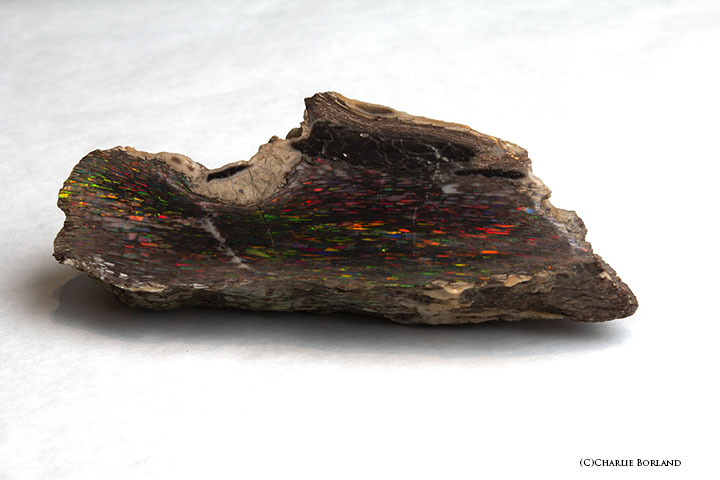 These final two images are of two sides of a tree branch, again, estimated to be 12-15 million years old. Each photo is a composite of 3-5 images because every time I move the light around different colors popped out so it was easier to sorta paint the branch with light and then selectively use different sections and create a composite for the final image.